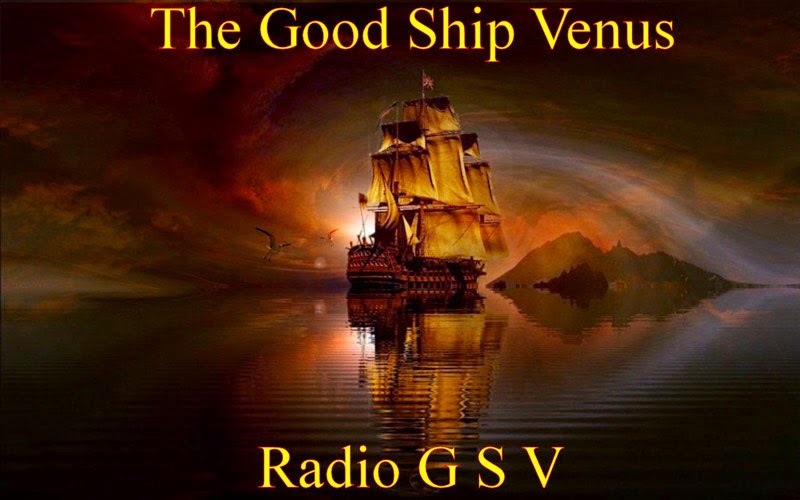 It has been reported to me by the operator of the Good Ship Venus radio station that he will no longer be on the air, along with sister station WMR. It was posted on a forum that Jim's voice was familiar, which led to people digging around. He has recently received email threats of being reported to OFCOM. Unless GSV and WMR can find a remote location, the plug has been pulled, I am afraid. 6325 @ 0857 LFR - 35434, Steely Dan - "Do It Again"
6300 @ 1726 Abu Dhabi (formerly BB) - 45544, Neil Diamond - "Solitary Man"
6266 @ 1554 Odynn - 35434, Jimi Hendrix - "Purple Haze"
6285 @ 1613 Abu Dhabi (Black Bandit) - 45534, strong signal, Shania Twain - "That Don't Impress Me Much"
6380 @ 1624 Carrierwave - 35434, "Mony Mony"
6319 @ 0912 Magic AM - 35544, Rolling Stones - "Mixed Emotions"
6280 @ 1032 Cosmic - 23322 , B52s "Love Shack"
6220 @ 1110 Telstar Int - 35434, Q '65 – "The Life I Live"
6306 @ 1511 Joey - 35434, Blue Nile - "Tinseltown in the Rain"
6374 @ 1513 Pandora (UK) - 34333, "Mustang Sally"
The 48 metre band closed quickly at 1830 UTC. 6380 @ 0920 Universe - 35434, ID and hello to people in chat. German track "Stimmen in wind"
6267 @ 0934 Cosmic - 24322, David Bowie - "Sound and Vision"
18:30-20:00 Clive Derek remembers the legendary journey of the mv Fredericia round the British coast to launch Radio Caroline North in July 1964. It just brought back memories of the time that I was listening to this happening live 50 years ago. I remember working as a teenager at a holiday camp on the East Coast of Norfolk and on a portable radio sharing in the journey of the Fredericia which eventually become Caroline North. 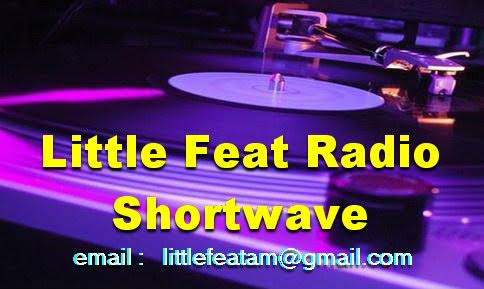 6380 @ 0829 Carrierwave - 35434,U2 track, Roxy Music "Over You"
6380 @ 1258 Lowland - 34434, Pan Pipes music, "Guantanamera"
6320 @ 1326 Magic AM (NL) - 35434, "There is only one Magic!" op said. Thin Lizzy - "Whisky In The Jar"
6262 @ 1340 Titanic - 34333, "Man of Action" Les Reed Orchestra. Captain John at the Microphone. 7580 @ 1347 VOTN - 35434, Right Said Fred - "Don't Talk, Just Kiss"
6240 @ 1515 CWR - 24332, Chris' voice then Red Hot Chili Peppers - "Give It Away"
Kolibrie caught this afternoon. Today we received the message that the ... medium wave pirate Kolibrie is caught. Officers of the Radio communications agency (AT) were around 1440 at the pirate's address.They asked him to cease broadcasting after the last song. 6306 @ 1554 Tower - 35434, UB40 "Here I Am (Come And Take Me)"
6396 @ 1643 GSV - 45434, Jingles, ID Jim speaking, "Light My Fire"
The band closed around 1835 UTC again for short skip distance. 6290 @ 1608 Hitmix - 34333; Guesch Patti - "Etienne"
A very quiet Monday otherwise on 48 and 43 metres! 6205 @ 1006 Scotland (NL) - 45434, Lou Rawls "I'll See You When I Get There"
6390 @ 1456 Laser HH - 35434, Michael Jackson - "Earth Song"
6285 @ 1746 Focus - 45434, The Hollies - "Here I Go Again"
The last two evenings short skip has disappeared early - around 1830 UTC at this QTH, only to return about an hour later! Interesting conditions at the moment. 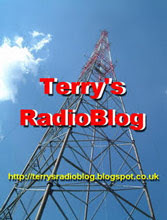 Good to hear stations from Italy and Denmark making appearances on the 48m band. It was also a pleasure to hear the ID on 6300 (RWI) after half an hour of QRM from Reflections Europe on 6295. 6300 @ 0904 LFR - 34333, Thanking Montferland for transmission and giving comments on the signal. Gregory Abbott - "Shake You Down"
6300 @ 0938 Montferland - 35434, giving LFR signal report and comments, then response by LFR on 6300 after with Bruce Springsteen: "Better Than the Rest" and Calvin Harris ft Ayah Marar "Thinking About You"
7300 @ 1020 Misti - 34333, "What is Love" by Haddaway. 10 watts. 6747 @ 1843 Pioneer - 35434, The Eagles - "Lyin' Eyes"
6803 @ 1947 Pink Panther - 35434, Pop music, instrumental. Short skip returned - inaudible an hour ago! 6990L @ 2014 BSR - S5, Creedence Clearwater Revival - "Up Around The Bend "
Early Xmas eQSL card from Over 60 Degree Radio for reception of 6940L on the 7th November - thanks Mick! 6285 @ 1458 Focus - 35444, Genesis - "I Know What I Like (In Your Wardrobe)"
6255 @ 1810 Telstar South, - 35333, Recording of government minister in the 60s re pirate stations. David Bowie - "Suffragette City"
6940L @ 2057 Over 60 Degree R - S5-8, Van Morrison / BB King "If You Love Me"
6305 @ 1910 Hitmix - 34323, "If I had a Hammer"
4026 @ 1940 Laser HH - 35434, In English; Dee-Lite "Groove Is In The Heart"
6396 @ 0951 WMR - 34434, Jack and various pop, rock music. Old recording played later. 6325 @ 1702 Telstar - 35434, "Yakety Yak" The Coasters? 6306 @ 1711 Joey - 35433, REM "What's The Frequency, Kenneth"
The Elad SDR is being put through its paces ... there are some new videos that I have uploaded to YouTube. 6295 @ 1924 Joey - 45434, "I Can't Break Away"
6305 @ 1929 Merlin - 34333, The Ran-Dells "Martian Hop"